Halfway up a mountain, far off the beaten track: today's renewable energy projects are more than likely to be in isolated locations. 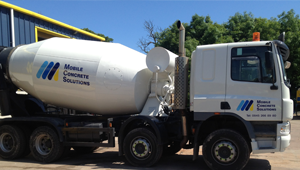 Mobile Concrete Solutions brings together two highly experienced companies in UK ready-mixed concrete to provide a mobile concrete batching service wherever and whenever you need it. No matter how remote or inaccessible your project. Breedon has an extensive network of fixed ready-mixed concrete plants and quarries throughout Scotland and Central England, providing MCS with extensive aggregates supplies, first-rate operational back-up and expert resources. Ready-mixed concrete is best used within an hour of mixing - our mobile batching plants ensure you get it on-site, where you need it, when you need it. Calliachar Wind Farm in Perthshire is typical of the work we do. 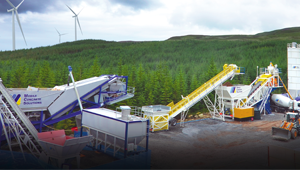 We provided the concrete bases for 14 wind turbines, nearly 8 km from the main A826 up a forestry track. It was one of the most remote locations we've worked in. 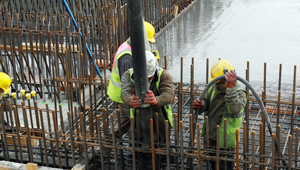 Why choose Mobile Concrete Solutions? We have worked with some of the UK's leading wind farm developers, both on- and offshore. We have serviced hydro-electric projects for major water companies and supplied concrete to some of the country's most remote marine coastal schemes. We have even helped build fish farms in some of Britain's most out-of-the-way places.